Lake Van region, Turkey, 14th cent. Purchased on the Acquisitions Fund and Fellows Endowment Fund, March, 1999. Irma and Jack Guevrekian, Manhasset, N.Y.
Ms. gospel book single leaf; written and illuminated in Turkey, Lake Van region, 14th century. 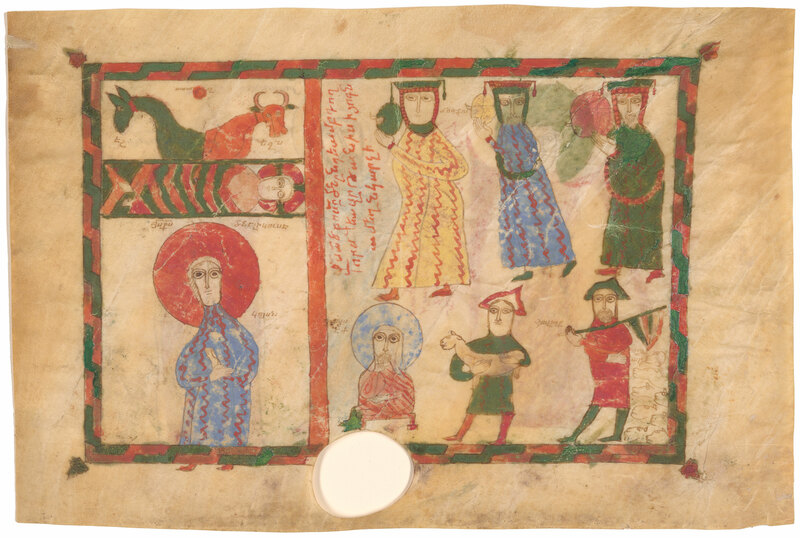 Decoration: on recto, full-page miniature depicting the Nativity, the Magi and the Shepherds; on the verso a full-page miniature depicting the Baptism of Christ.